"Let's look at the bold ideas! And I'm eager that we have those discussions. And when we are able to defend the status quo let's do it, and when there's not merit to that, let's explore new ideas." Since announcing her candidacy on January 18th and holding a campaign launch rally before a crowd of at least 20,000 in Oakland six days later, former California Attorney General and San Francisco D.A., Senator Kamala Harris has become one of the presumed front runners in the Democratic primary. A very persuasive and charismatic speaker, Harris has tried, like most of the candidates who have announced their bids, to grab the mantle of progressivism and generate some excitement from the grassroots of the party. Walking the tightrope between appealing to former Clinton staffers (and donors), who have flocked to her campaign, and progressive voters who reject the received wisdom of neo-liberalism, has already led to some back tracking on the part of California’s Junior Senator, who is still a relative newcomer to the national stage, having only held the office since 2017. During a CNN Town Hall on January 28th, Senator Harris stated in no uncertain terms that she supported the Medicare for All bill she co-sponsored with Vermont Independent Bernie Sanders, which would eventually give government coverage to all citizens and essentially replace the current private insurance industry with a single payer model similar to what we have here in Canada, where Harris attended high school. After receiving strong criticism from mainstream media outlets and billionaires like Michael Bloomberg, Harris surrogates walked back the Senator’s position, telling reporters that while she supports Medicare for All, the candidate is also open to various options being put forward by others in her party to improve Amercans’ access to healthcare. There are also some concerning things in terms of Harris’ record that will be of interest to progressive voters, not least of which is her history as a prosecutor in a Black Lives Matter era when criminal justice reform has become a key issue for the left. While taking into account the centrist arguments that Harris came up in a time when a ‘tough on crime’ approach was expected for those with political ambitions and that being D.A. in ‘liberal’ San Francisco could be seen as a potential albatross on the national stage, some of her decisions and her attitude in describing them to audiences seem to contradict her desire to brand herself a ‘progressive prosecutor’. Speaking at the Commonwealth Club in San Francisco in 2010 when she was still San Francisco’s District Attorney, Harris bragged about her tough stance on school truancy. She laughed as she told her audience about how she had sent a letter using her official letterhead to parents throughout her district explaining that they could face jail time if their kids missed school. One case she high-lighted in her speech was especially chilling, a rather unsympathetic account of a homeless mother of three working two jobs who faced charges as part of the policy. In her telling of it, Harris said that she told her prosecutors,“When you go over there, look really mean” and that this approach, which likely terrified the woman, was a success, noting that, after the visit, the children’s’ attendance at school improved and “we dismissed the charges against her”. While the attitude Harris displayed in talking about her law and order approach to school truancy seems to confirm she had some of the biases generally associated less with the progressive than the prosecutorial mind, there are other cases from Harris’ time as D.A. and later Attorney General, that leave an even worse impression. One case in particular reveals that Harris was at the very least very slow in reacting to hundreds of criminal cases tainted by the work of Deborah Madden in the city’s Hunters Point crime lab. Madden, a lab technician and SFPD employee who worked there for decades, was not charged despite admitting that she had stolen cocaine from samples passed through the lab. The lab was closed for a time as a result of the scandal under Harris’ watch and 600 people were eventually released from prison due to tainted evidence. A Superior Count Judge Anne-Christine Massullo at one point complained about the slow pace of Harris’ office in providing information “actually in its possession” regarding some of the reopened cases. While as a prosecutor, Harris seems to have been ever at the ready to punish those without the means to really defend themselves, there is evidence that she was less likely to go after powerful people, including Trump’s current Treasury Secretary, Steve Mnuchin, whose OneWest bank was implicated in hundreds of crimes related to the foreclosure crisis that came as a result of the 2008 banking crash, in 2013. A.G. Harris’ office declined to press charges against OneWest or its principals whose illegal behavior cost many working and elderly people their homes. Making the situation look even worse, besides receiving money from Mnuchin’s wife when she ran for the office of Attorney General before she was in charge of the investigation, Harris received the only donation that Mnuchin himself made to a Democrat in 2016. The kid glove treatment given to Mnuchin and others seems to display the kind of priviliged view of the world we often see in the powerful be they prosecutors or presidents: things just fall into your lap. Take for example the fact that early on in her tenure as D.A. 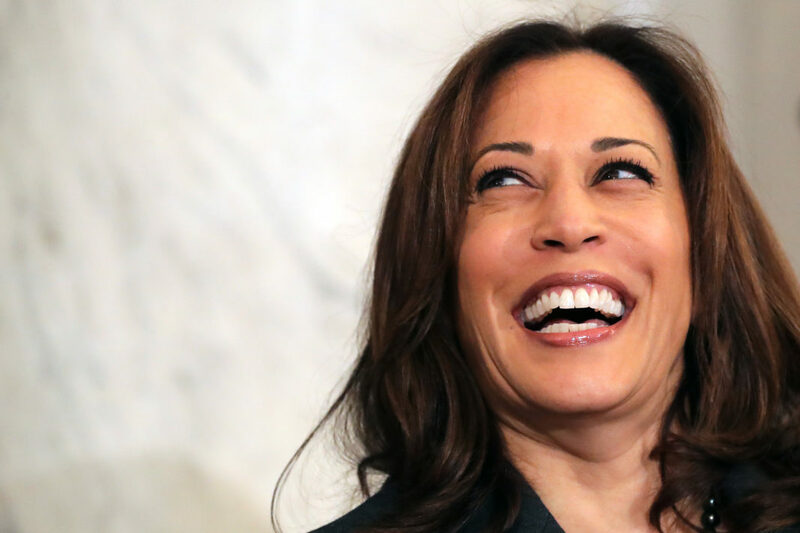 of San Francisco, Harris was lucky enough to get plum positions on California’s Unemployment Insurance Appeals Board and the California Medical Assistance Commission, adding $100,000 dollars a year to her salary. She was given these sinecures by former San Francisco mayor Willie Brown, who she dated for a time. Although her work as a prosecutor is in the public record, on other issues it’s hard to say what her positions are. On foreign policy, aside from the typical allegiance to Israel regardless of who is in power there, Harris hasn’t really staked out too many positions besides promising recently that she won’t conduct diplomacy by tweet. We’ll have to wait and see if she will emulate Hillary Clinton’s hawkishness, President Obama’s cautious, mostly covert approach or the left wing position best articulated by Tulsi Gabbard that the interventionism of both major political parties produces terrible results and must end. Perhaps most important to those on the left of the Democratic Party, with the Iowa caucuses just a year away, Senator Harris will need to assure progressives that if she becomes the party’s nominee she won’t repeat the mistake of her predecessor Hillary Clinton by turning her back on the progressive voters who are a significant and growing part of the Democratic Party’s base in the hope of winning over so-called ‘moderate’ Republicans, At present, at least in her rhetoric, Kamala Harris seems to recognize the direction her party is heading in, whether progressives actually believe her remains an open question.